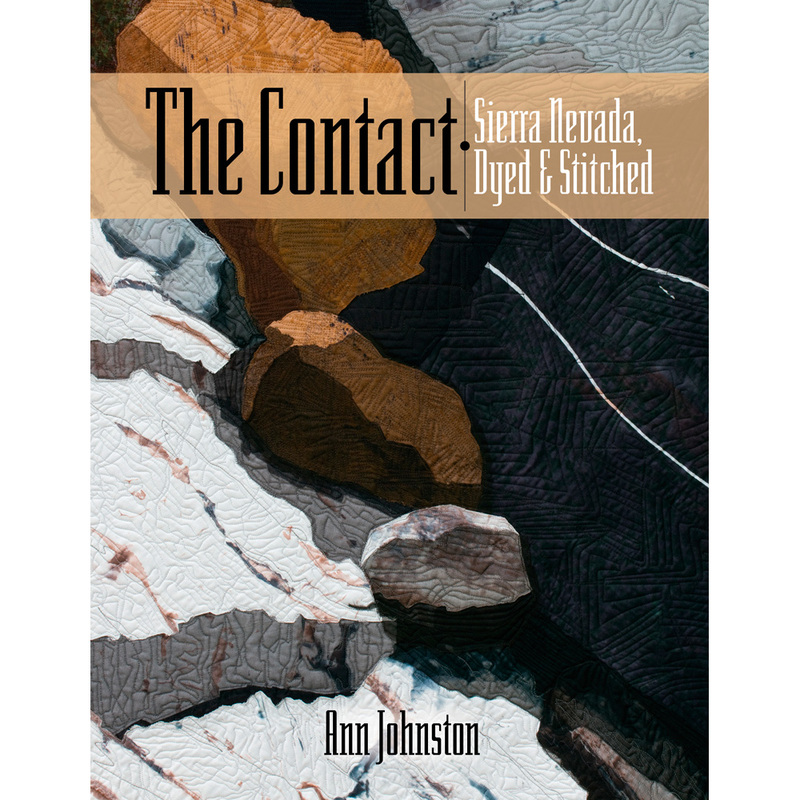 Ann Johnston’s six-year project making large quilts about the geology, gold rush, and landscape of the Sierra Nevada in California is described in this 146-page book. The gallery section includes 31 pieces with overall views, close up details, and many of the backs. The inspiration and process sections—over 62 pages—show the sources of her ideas and the processes involved in dyeing the fabric, assembling the pieces and quilting the designs. The text throughout is concise and informative, telling a personal story as well as one of geologic and historic events. The work has been shown, so far, in the Martin Museum of Art, Baylor University, TX; Exposición Nacional de patchwork, Sitges, Spain; University of California Art Gallery and Kolligian Library, Merced, CA; Festival of Quilts, Birmingham, England; Le Carrefour Européen, Sainte-Marie-aux-Mines, France; The Bellevue Arts Museum, Bellevue, WA, and The Johnsville Historical Society, Johnsville, CA.